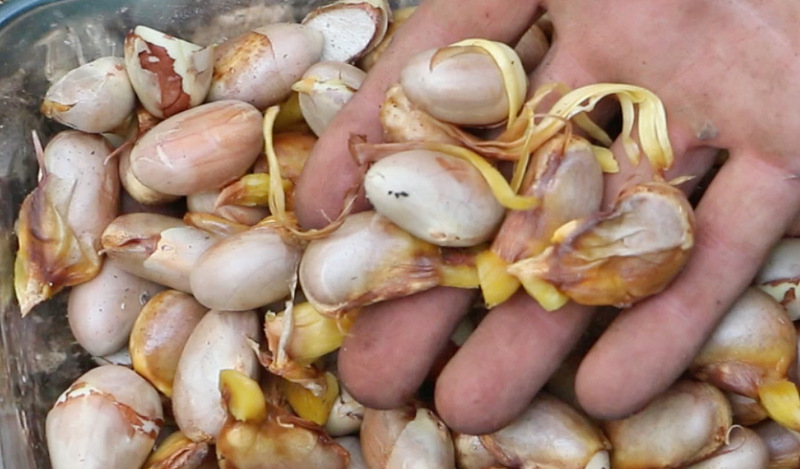 Today we’ll cover how to germinate jackfruit seeds. Jackfruit are a very productive tropical tree and a relative of mulberries, breadfruit and figs. They also are capable of bearing the largest fruit on the planet. 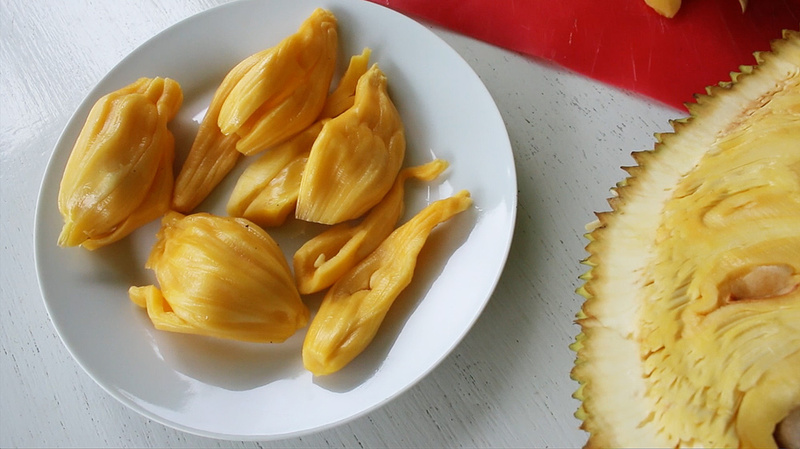 Inside the jackfruit and around the seeds is a delicious, tropical-sweet flesh like nothing else on earth. The trees bear abundantly and require little care to cover you in Jackfruit. 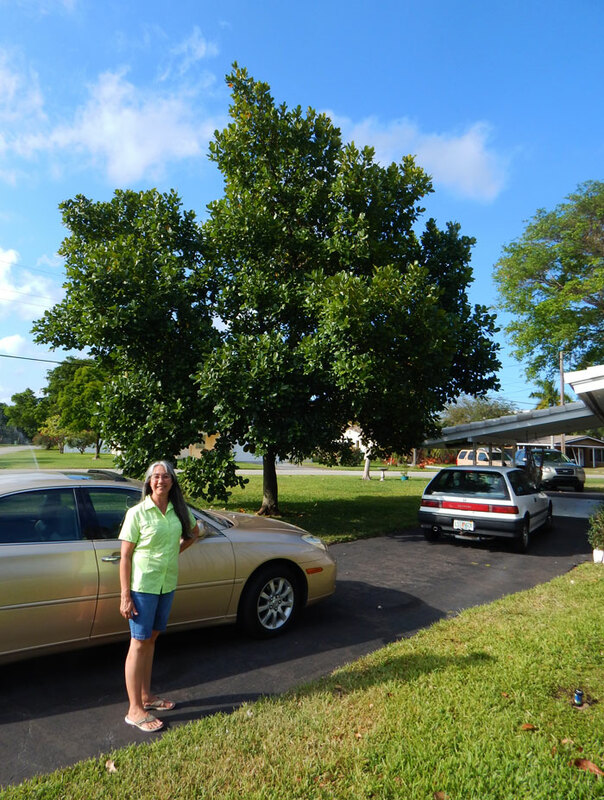 Even in South Florida, somewhat outside their normal range, jackfruit can do excellently – as my friends Chuck and Sarah can attest. 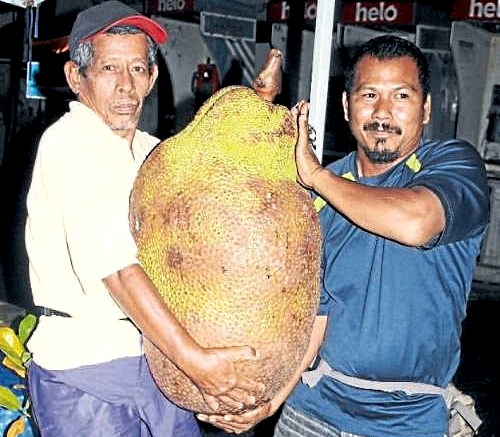 But how do you grow your own jackfruit tree? Let’s germinate some jackfruit seeds, shall we? 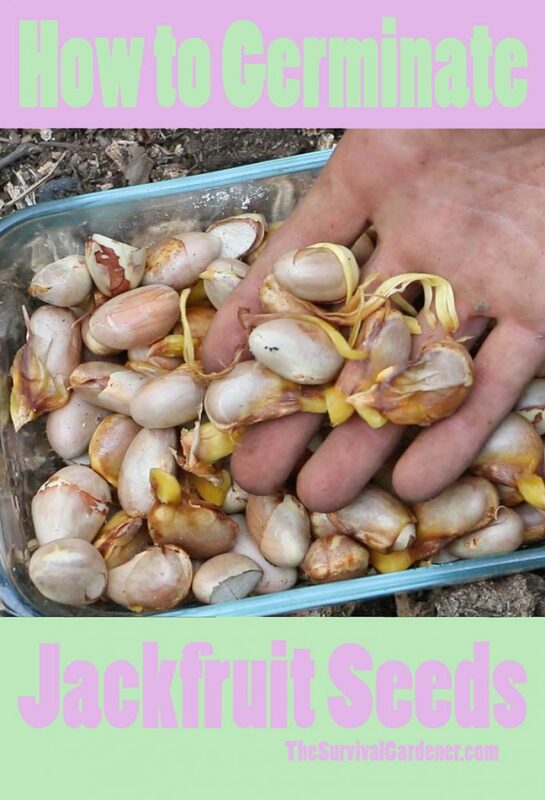 Germinating jackfruit seeds isn’t hard but you do need to start with fresh seed as the seeds dry out and die quickly. You’ll have to find for an ethnic market to obtain jackfruit unless you’re lucky enough to live someplace where jackfruit are regularly grown. 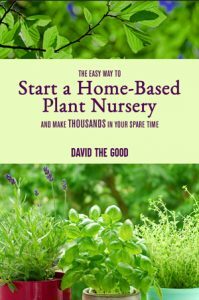 Now you know my favorite source for rare edible plants. Go and hunt. Open that jackfruit up and save those seeds. After you’re done munching on delicious jackfruit and cleaning the latex off everything in the kitchen, it’s time to plant the jackfruit seeds. Jackfruit seeds look like fat beans. If you don’t have time to plant them right away, just set them aside on the counter – they’ll keep for a few days. Don’t put them in the fridge! Jackfruit have very little tolerance for cold and you may kill the seeds. If you need to keep them for a week or more, put the seeds in some moist soil or with a damp paper towel. They may rot or sprout if you leave them for too long, so it’s better to plant quickly. You can plant jackfruit seeds in pots, but direct-seeding jackfruit also works quite well. If you use pots, make sure you pick deeper ones. Jackfruit like to send roots down fast and deep and will rapidly outgrow a small pot. They grew well, then I thinned the cluster of sprouts down to one tree. It’s been less than a year and that tree is about 3′ tall now. 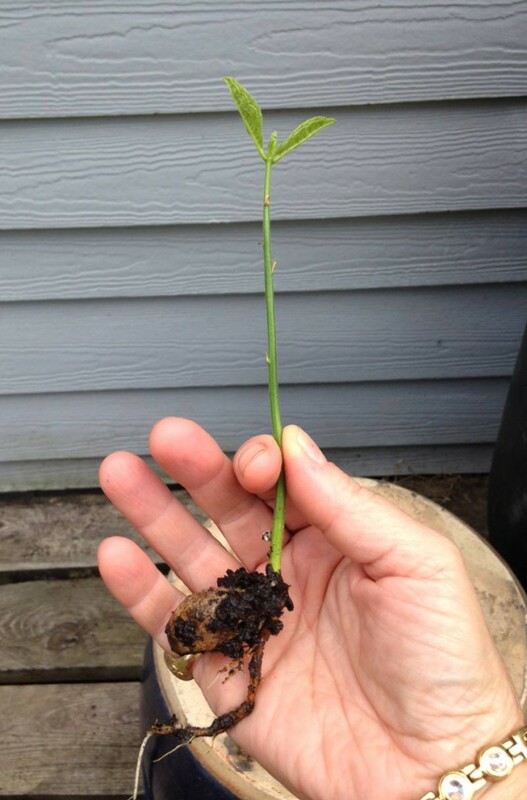 Plant your seeds 2″ deep and wait. It will take a month or two for them to come up. Be patient and keep them watered. Before planting, I often soak seeds in water overnight in case they’ve dried out a bit. It seems to help. Jackfruit come up with long, thin green shoots that resolve into two little leaves at the top. Remember: jackfruit do much better in the ground than they do in pots. Get them in the ground once they’re a decent size and get them growing with lots of compost. How Long Does it Take a Jackfruit to Bear from Seed? Some sites will say it takes years and years for a jackfruit to bear from seed but this isn’t necessarily correct. The tree in our yard apparently started bearing at about 5 years of age. Your mileage may vary. Jackfruit grow quickly and like water, fertile soil and plenty of sun. Light frosts may kill young trees but older trees can take some cold. 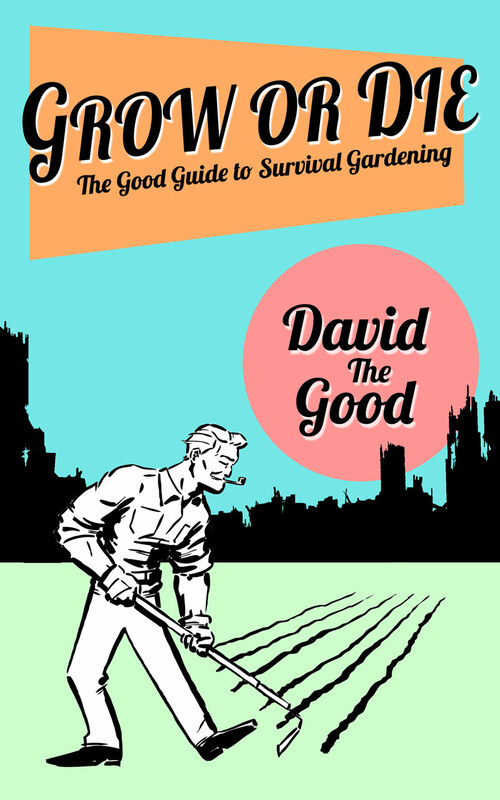 I cover the potential for growing jackfruit outside their range in my book Push the Zone: The Good Guide to Growing Tropical Plants Beyond the Tropics. So – what are you waiting for? Go ye out and germinate jackfruit seeds! 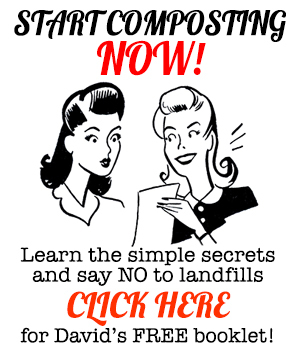 How To Grow Coffee with Gary Strawn - Podcast! Seminole Pumpkins – an Amazing Crop! Thanks for dropping some wisdom! Generally it takes a couple of months.